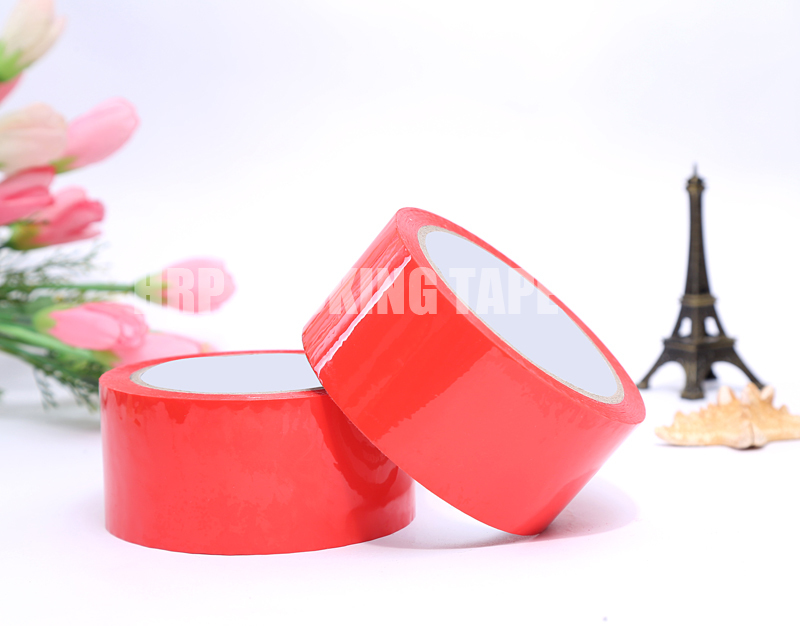 Carton Sealing Tape is widely used in our daily life. The surface of the tape is coated with a layer of adhesive to make the tape stick to the article. The thermal degradation of the adhesive during the manufacturing process is an important step, which determines the quality of the tape produced. The service life of the tape manufacturer is the thermal degradation process of the Industrial Tape. (1) The depolymerized molecules break from the chain end, generate free radicals, and then decompose in a chain, and the monomers are rapidly produced. The reaction process is the reverse process of chain polymerization. The degradation reaction of PMMA at 300 ° C; is a depolymerization reaction, which can be mostly converted into monomers. (2) The random chain breaks randomly break on the main chain of the molecule, and the molecular weight decreases rapidly, but the monomer yield is not large. The decomposition of the PP is in this way. (3) The side group eliminates the polymer having a side group such as polyoxyethylene, polyvinyl acetate, polyacrylonitrile, etc., and the substituent is removed when heated, and finally the main chain is broken. Polyoxyethylene starts dehydrogenation at 100-120 ° C, and the color turns yellow. At 200 ° C, dehydrochlorination accelerates, the color becomes darker, and the strength deteriorates.